KUALA LUMPUR, MALAYSIA24 MARCH. 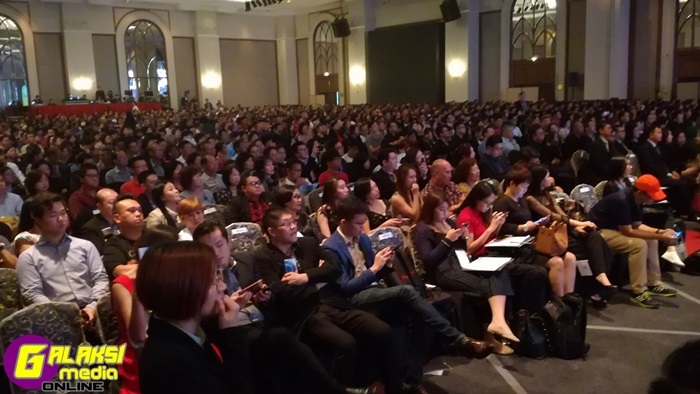 2019 in a gala event packed by more than 2,000 guests, AGAPE Superior living Sdn Bhd (AGAPE) launched its latest product, Trim+. The CEO and Global President of AGAPE, Dato’ Sri Dr. How Kok Choong, presented Trim+ during the ‘Road To NYC: The Grand Reveal’. The event was held at the Grand Ballroom of Putrajaya Marriott Hotel. 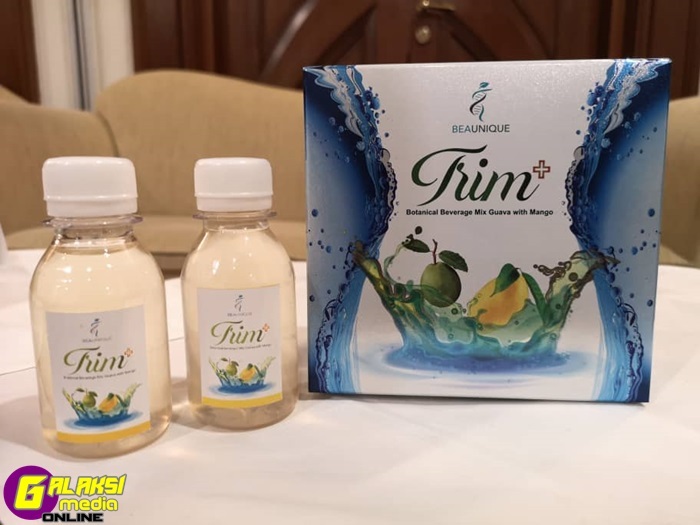 Trim+ is a product that will change the way we manage our diet and weight Thanks to breakthrough innovations, it is the perfect drink to stay fit without losing sweetness. The product is available for purchase online, inn-store and from AGAPE office, branches and stockists across Malaysia. The year 2019 marks the 15th anniversary of AGAPE at the forefront of the health and wellness industry. AGAPE is further expanding its international footprint with the signing of Memorandum of Understandings (MoUs) with business and strategic partners from Malaysia, Japan, Thailand, India and Hong Kong. The signing of the MoUs is a testament to the demand for AGAPE products in the overseas market, and its dedication to advancing superior living for people around the world through wellness and financial health. Commenting on the development, Dato‘ Sri Dr. How said: “We are committed to creating quality, sustainable wellness solutions. and ways of buiiding entrepreneurship for people everywhere by providing them with the best product and platform. It has been our long-standing belief that helping others succeed is the greatest success.” said Dato’ Sri Dr. How, a highly successful entrepreneur and much-sought-after executive coach. The signatories are AGAPE Superior Living (wellness), AGAPE ATP (health advisory services), Phoenix Plus (properties). Qu Exchange (SME sharing exchange) and Media House Entertainment (media) from Malaysia, VSUN (solar solutions) and Abalance (construction, green energy, IT) from Japan, innovative ideals and Services (security equipment) from lndia and Carter Lim Chee Sen, business partner with AGAPE from Thailand. 1. Abalance (Ryu Junsei, CEO) and Phoenix Plus (Dato‘ Sri Dr. How Kok Choong, Chairman). witnessed by Delon Fong (Phoenix Plus CEO), Kimura Nakaaki (Abalance director), Mineichi Iwanaga (Abalance executive advisor and former Japanese Minister of Agriculture, Forestry and Fisheries), Dr. Makio Miyagawa (Japanese Ambassador to Malaysia) and Dato’ Lokman Hakim Ali (MITI Secretary General). witnessed by Delon Fong (Phoenix Plus CEO) and Ryu Junsei (Fujisolar CEO). 4. Alex Chau Kwok Wa (Hong Kong business partner) and AGAPE ATP International Holding Limited (Raymond Hew, CEO), witnessed by JJ Teo (AGAPE ATP Corporation vice president). 5. Carter Lim Chee Sen (Thailand business partner) and AGAPE ATP International Holding Limited (Raymond Hew, CEO), witnessed by Siow Kock Yong (AGAPE ATP Corporation vice president). (Loi Der Liang, Chief Marketing officer), witnessed by Samsul Kamal Arrifin (AGAPE Superior Living, Marketing Director). Under the agreement, the parties will work together with AGAPE to tap into the Asian market. The initiative also aims to foster strategic investor relations and increase market access among the signatory parties. AGAPE’s expansion plan will see a “key focus” on Asian countries especially Indonesia, Thailand, Taiwan, Hong Kong, Vietnam, Philippines, Brunei, Singapore, South Korea, Bangladesh, UAE, Laos, Cambodia and India. “With the regional expansion, AGAPE will far exceed expectations to achieve significant gains in both revenue and profit,” said Dato‘ Sri Dr. How. He added that as part of its expansion, AGAPE have announced that it will take up residence at Pavilion Embassy, situated along Kuala Lumpur‘s renowned embassy row. “With one of the most prestigious address and peerless connectivity in Kuala Lumpur, we believe Pavilion Embassy is the perfect location for AGAPE to embrace the world,” he noted. AGAPE has been consistently named as among the best companies in the direct selling industry by leading organizations, mainstream media and industry peer groups. AGAPE has won many awards for its flagship product, the ATP Zeta Super Health Program, which offers superior nutritional benefits with a focus on cellular health. The awards are testimonials of AGAPE’s dedication and enthusiasm for creating the best, groundbreaking nutritional and skincare products in the market. Among the more recent awards received by AGAPE are the SMETOO Awards and Sin Chew Business Excellence Awards (SCBEA). The year 2019 also marked Dato’ Sri Dr How‘s foray into the movie production industry after taking up a majority stake in Redboy Pictures. Redboy is the producer of C144. an action-packed adventure that involves a young crew searching for a crashed World War 2 American military aircraft in thejungle of central Perak. Inspired by true events, C144 was shot at the scenic Gunung Bubu in the Bintang Range, near Kuala Kangsar. Produced by Aaron Lim and directed by Jack Wong, the movie features budding actors and actresses Jackson Lee, Kyle Mikhail, Shaun Liew, Joe Heggie, Jasmine Leddar, Dyvianna James, Ibrahim Edward, Adery Chin and Koey Her. The movie is expected to open in cinemas here, South East Asia and the United States around November this year. C144 will be promoted by an America 8t China-based conglomerate, Belt And Road Film and TV Global Union (BRF-TGU) 8L Hollywood Tribute Southeast Asia in the region. The event also highlighted performances from teenage singing sensations Siti Nurmasyitah Mohd Yusoff, 0 “‘3“ as MaSYItah Masya, and Jeryl Lee Pei Ling. The 19-year-old Lee made her name after appear mg on Zhejiang TalEViSion’s “Sing! China” while Siti shot to fame with her 2017 cover in Mandarin of Si Le DOU YBO Al (Still Love Even After Death) by Taiwanese band Shin. The Chinese embassy in Malaysia recently commissioned both artists to perform a song titled Bahu Kiri (“left shoulder” in Malay) or ZUO Jian. The song commemorates 45 years of diplomatic ties between Malaysia and China.